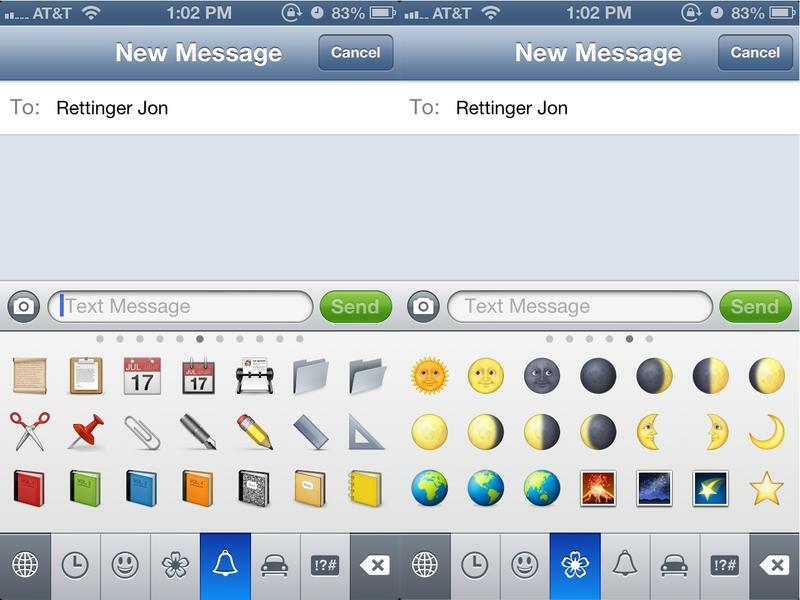 After months of waiting, Apple’s iOS 6 has finally arrived. The update comes with plenty of new features, many that will probably go unnoticed — but there are a few pretty great additions that’ll make the experience better. We already upgraded. Here’s what we like so far. This one is getting a lot of flack, and to be frank it isn’t quite up to snuff with Google’s offering. But Apple has officially kicked Google to the curb, so unless you can resist the upgrade, or until standalone apps from the search giant appears, you’ll need to get familiar with Apple Maps. It’s not so bad. For starters, the new Maps uses vector-based graphics that, in theory, means faster loading times. During our brief hands-on, everything did seem to load pretty quick — even off our office Wi-Fi — which is a encouraging. Google Maps had a tendency to hang, so we’d expect real world situations to improve slightly when loading up locations. Of course, turn-by-turn is the biggest addition to iOS 6’s new maps. We haven’t been able to give it a go in the final build just yet, but we can definitely say we’re excited to test it out. Visually, it’s pleasing on the eyes, and Siri’s voice is there to guide you through the world and let you know if traffic is around the bend. If you’ve ever used any GPS app ever, this is largely the same experience. Local Search is pretty neat as well. It’s basically a way to provide users with a card of useful information about the business you’re looking for: phone number, hours, distance, address, Yelp info, etc. And if you need to, you can get directions to or from the location instantly. 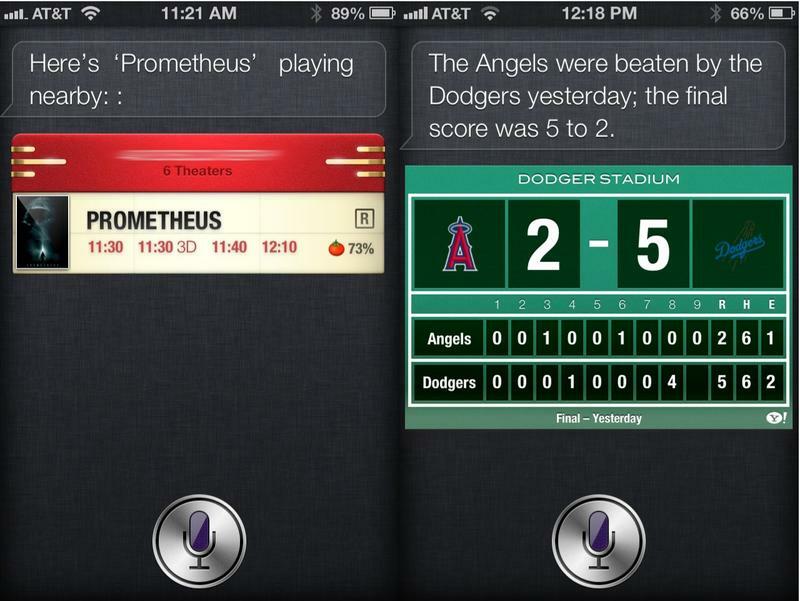 Siri is now on a level she should have been to begin with. So she’s a year late — not exactly what you want out of a virtual assistant. But she’s better now, ready to help you with all kinds of stuff. We’ve already covered Siri extensively, so there’s not much we can add here. She can now tell you restaurant ratings, post to Facebook, launch apps, find movie times and sports scores. And if you need to make a last minute reservation, she can do that too. Is Apple’s Passbook a thorough enough offering that people won’t notice NFC is missing in the iPhone 5? Maybe, maybe not. But the way consumers currently handle their day-to-day, this is likely a more than adequate feature that’ll help folks get used to the idea of a mobile wallet. Stuff like boarding passes, movie tickets, coupons and loyalty cards are now on your phone in one convenient app. I can personally see this coming in handy for tickets and coupon, so I’m very interested to see how it works out in the wild. If anything, it’ll help slim out your already fat bifold. If you’re deeply involved with Mark Zuckerberg’s enormous lovechild, then enabling Facebook integration is a no-brainer. I gave it a quick whirl and immediately turned it off because I didn’t want hundreds of contacts that I rarely speak with on my phone. It’ll sync info, pictures, birthdays, emails and all relevant information seamlessly. I am impressed with how little effort it takes to get this ball rolling, and it’s nice to have that share button in the notification window. Hahaha. So many new faces, so many animals, etc., etc. Sure, emoji are pretty darn childish, but fun nonetheless. Who doesn’t like mass texting an incoherent string of emoji to good friends? Really, though, the amount of new emoji is pretty wild, meaning the ones you’re used to using will likely get changed out quite frequently. Dumb? Who cares? Plenty of people do. There are plenty of other addition to iOS 6: FaceTime over cellular, Panorama, call screening, improved Mail, better Safari and a host of other, smaller features that promise to improve the experience. It’s not a grand overhaul the way some people would have liked, but it further pushes forward the great iOS experience millions of people have come to love. We’ve only just gotten our hands on the final build, so we’ll be navigating through iOS 6 throughout the day. So far, so good. What’s been your favorite new feature so far?